Reality capture technology might sound like something out of a Star Wars movie, but it’s a reality. Even though you might have some preconceived ideas that reality capture has a limited area of use, or is cost prohibitive for broad adoption, the technology is ready for everyday use in a variety of applications. In the past few years, the technology has made dramatic increases in performance and ease of use, and seen such a sharp decrease in price. Today, all projects should consider adopting reality capture throughout the lifecycle. The workflow is not limited to any specific professional area and it can be used by planners, engineers, owners, contractors, and fabricators. Reality capture is simply the activity of quickly and cost effectively collecting the best, most accurate data about real-world conditions. 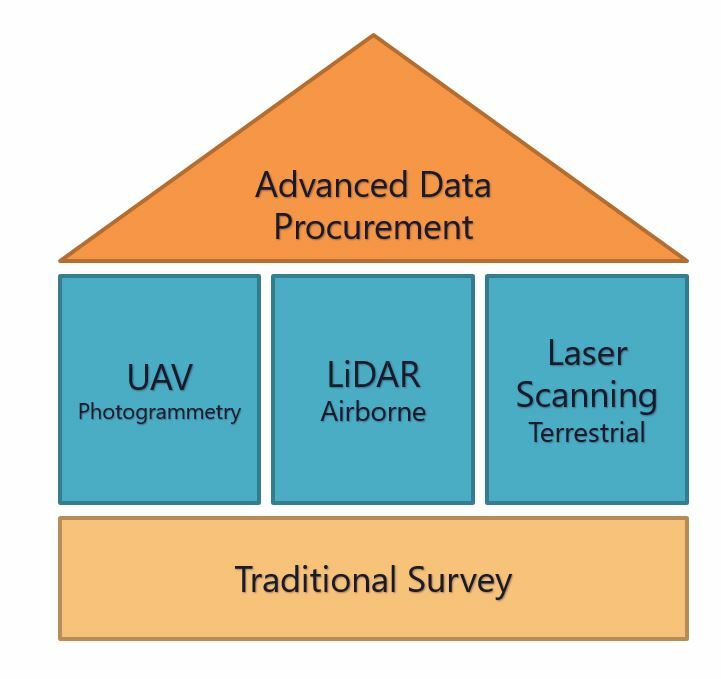 The most common type of reality capture uses laser scanners and UAV photogrammetry to produce simple images or 3D point clouds. A Point cloud is a set of data points in some coordinate system, containing X, Y, and Z coordinates and can also contain RGB values for each individual point. These data sets can range in size from a few hundred megabytes to monster files containing 100s of gigabytes of data. What can reality capture do for me? After the capture step, the data-processing workflows for laser scanning and photogrammetry are very similar. They involve aligning or registering the data in a coordinate system or project model. This is truly where the “magic” happens. 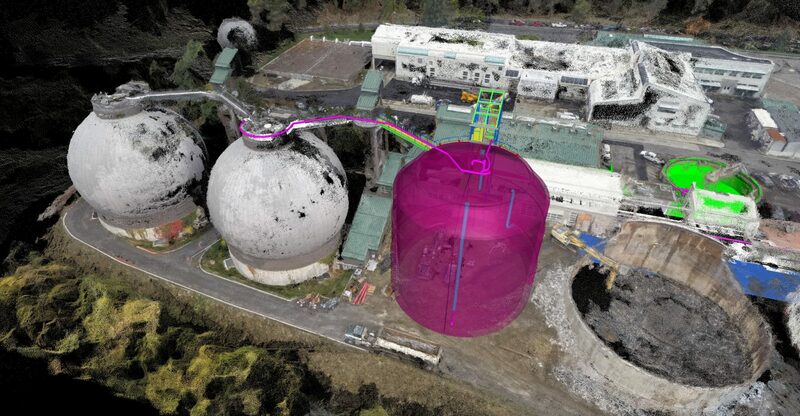 All point clouds contain some sort of coordinate system data, but when the point cloud data is created using project or state plane coordinates they become more valuable because the point cloud can be easily shared, combined seamlessly with existing BIM files, site data and even previous point cloud data. Where did reality capture come from? Like all new technologies, reality capture solutions grew from adaptations to existing technologies. In this case, reality capture tools stemmed from traditional survey (which is still the foundation and key element in collecting accurate data that is in project coordinates and can be easily utilized during any project phase). What file types does reality capture produce? What can I do with them? 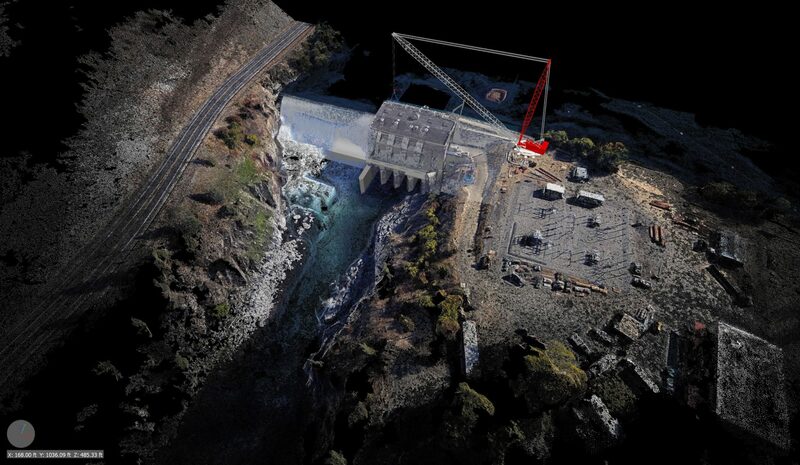 The point cloud is the most widely used output from both laser scanning and photogrammetry software. A raw point cloud can contain millions of 3D points, which can be cleaned to remove unwanted data, simplify the file size and provide a clear data set for the end users. One of the many benefits of utilizing point clouds is the many file formats they work with. If you’re using Autodesk products they can be incorporated into a Recap format (RCP), or the more widely open LAS (LASer) format, and even the most simple E57 or text file format. Which reality capture tools are right for me? 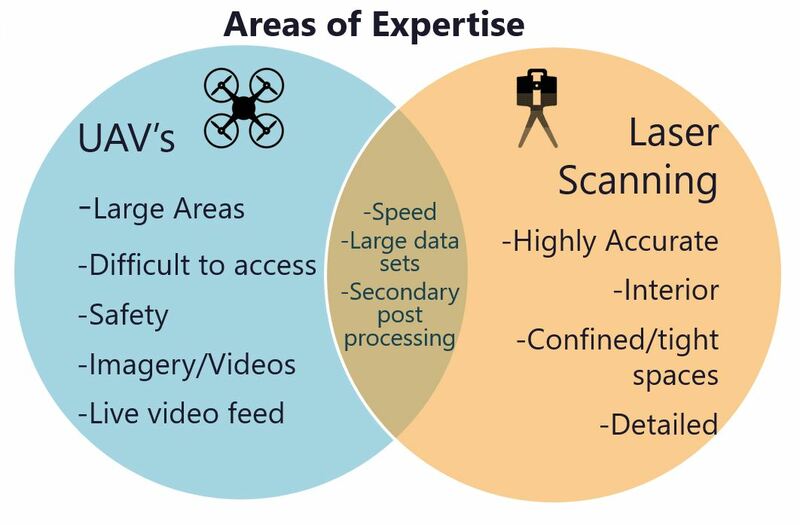 To better understand the individual strengths that laser scanning and UAV photogrammetry have, here is the breakdown. Laser scanners provide highly accurate detail data with very tight tolerances, so they are generally used for interiors and/or confined, tight spaces, or jobs that require higher accuracies. Now that you know a little more about reality capture, how can you imagine implementing it in your company, at your position and to help do your job more effectively? Reality capture gives you the best data available, helping you to make decisions based upon facts and not theory. This will improve the entire project from beginning to end. That means this new technology allows for better collaboration on the construction site, resulting in increased productivity, less rework and reduced RFIs. Specifically for Safety, Planning, Coordination, Documentation, Inspection, Production, Stockpile volumes, 3D modeling and QA/QC. This post originally appeared on Brian’s blog, Chronicles of a Technology Addict. Brian Smith is a leader in construction technology in the West. He has built an entire VDC group from the ground up including managing IT, GPS/Survey and CAD/BIM modeling groups. He specializes in Virtual Design Construction (VDC), 3D design, 4D modeling, and Building Information Modeling (BIM) coordination. 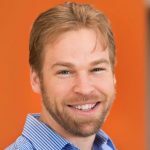 He enjoys teaching at Washington Engineering Institute, speaking at conferences across the country, advising for software start-ups and leading industry software platforms. He is also pioneer in utilizing UAV's on the construction site and is a FAA licensed small UAS pilot.